Please note: Bjorn has left the "Economics" group at Duke University; some info here might not be up to date. 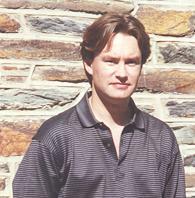 Bjorn Eraker joined the Duke Economics faculty in the Fall of 2001 after having finished his Ph.D. at the University of Chicago, Graduate School of Business. A Norwegian native, Prof. Eraker received his undergraduate degree from the Norwegian School of Management (BI), Oslo, and did graduate studies at the Norwegian School of Economics, Bergen. His research interests are in the field of financial economics, in particular empirical asset pricing applications and the econometrics of financial markets.